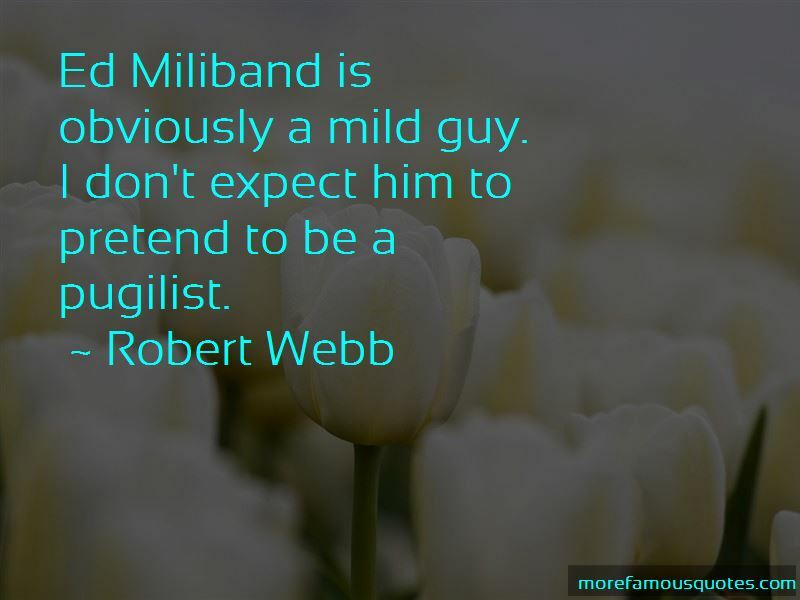 Enjoy the top 79 famous quotes, sayings and quotations by Robert Webb. To do comedy, you have to be a pretty good actor to start with. Ed Miliband is obviously a mild guy. I don't expect him to pretend to be a pugilist. I get recognised a fair bit. It goes up when 'Peep Show' or the sketch show is on the telly or when we're doing loads of interviews. 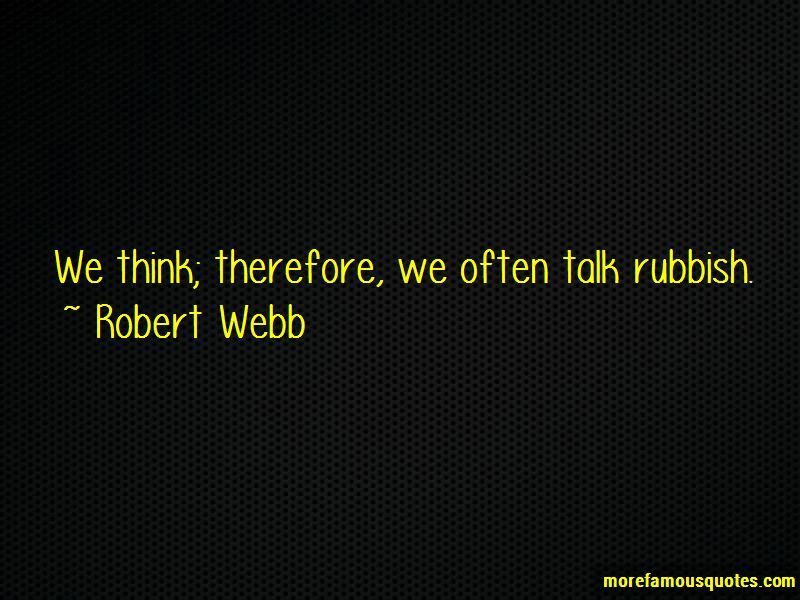 We think; therefore, we often talk rubbish. I don't care where you went to school. There - have I made your day? No? All right, I'll go further: I also don't care what your dad did for a living or how your mum voted. Nor do I mind whether you ate your tea in front of the telly, dinner at the kitchen table, or supper in the dining room. My favorite series of 'Peep Show' is always the most recent one, which I can say with all honesty because I don't write it. It gets better and better. 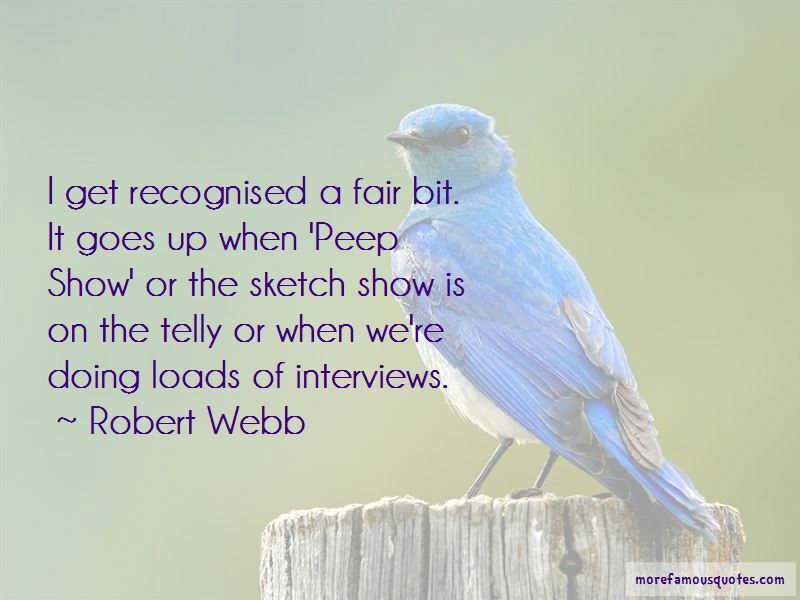 Want to see more pictures of Robert Webb quotes? 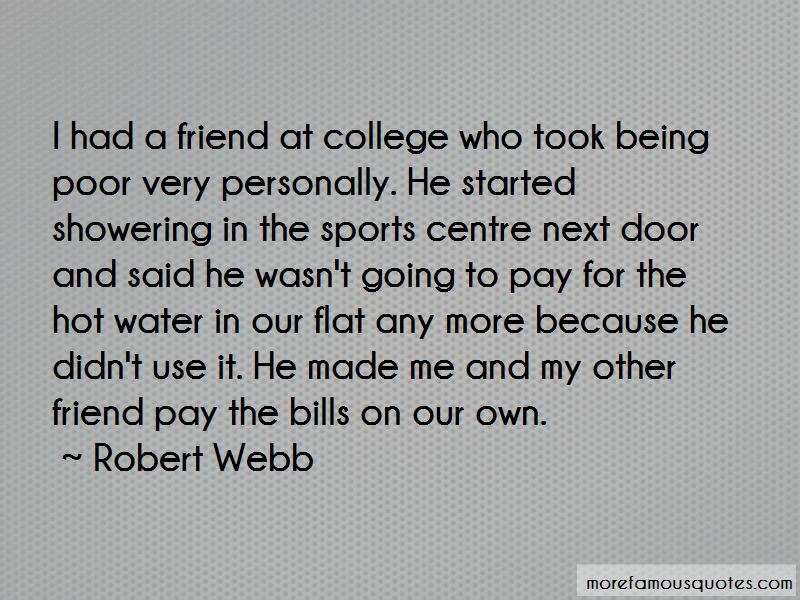 Click on image of Robert Webb quotes to view full size.